← Breaking: Kingdomware Wins Unanimously! The Supreme Court’s decision in Kingdomware Technologies, Inc. v. United States, No. 14-916 (2016) means that the VA will be required to truly put “Veterans First” in all of its procurement actions–which is what Kingdomware, and many veterans’ advocates, have fought for all along. (d) Use of Restricted Competition.— Except as provided in subsections (b) and (c), for purposes of meeting the goals under subsection (a), and in accordance with this section, a contracting officer of the Department shall award contracts on the basis of competition restricted to small business concerns owned and controlled by veterans if the contracting officer has a reasonable expectation that two or more small business concerns owned and controlled by veterans will submit offers and that the award can be made at a fair and reasonable price that offers best value to the United States. The two exceptions referenced in the statute (“subsections (b) and (c)”) allow the VA to make sole source awards to veteran-owned companies under certain circumstances. Nothing in the statute provides an exception for orders off the GSA Schedule, or under any other government-wide acquisition contract. Despite the absence of a statutory exception for GSA Schedule orders, the VA has long taken the position that it may order off the GSA Schedule without first applying the VA Act’s Rule of Two. In 2011, the issue first came to a head at the GAO. In Aldevra, B-405271; B-405524 (Oct. 11, 2011), the GAO sustained an SDVOSB’s bid protest and held that the VA had violated the law by ordering certain supplies through the GSA Schedule without first applying the Rule of Two. The GAO subsequently sustained many other protests filed by Aldevra and others, including Kingdomware. But there was one problem: the VA refused to abide by the GAO’s decisions. 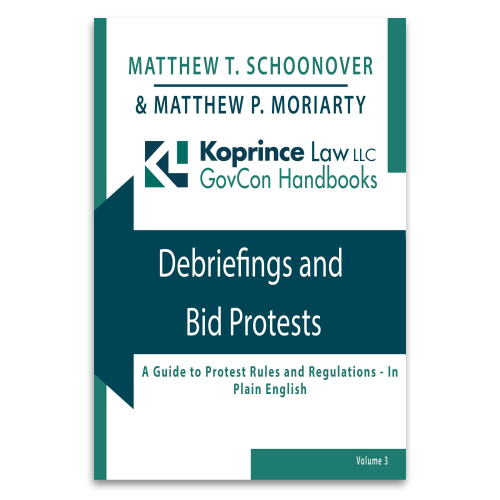 GAO bid protest decisions are technically recommendations, and while agencies almost always follow the GAO’s recommendations, they are not legally required to do so. The VA kept circumventing the Rule of Two notwithstanding the GAO’s decisions. Finally, Kingdomware took the VA to federal court. But in November 2012, the U.S. Court of Federal Claims reached a different conclusion than the GAO. In Kingdomware Technologies, Inc. v. United States, 106 Fed. Cl. 226 (2012), the Court ruled in favor of the VA. Relying on the phrase “for purposes of meeting the goals under subsection (a),” the Court determined that the VA Act was “goal setting in nature,” not mandatory. The Court held that the VA need not follow the “rule of two,” so long as the VA had met its agency-wide goals for SDVOSB and VOSB contracting (which, to the VA’s credit, it had). Kingdomware appealed to the U.S. Court of Appeals for the Federal Circuit. In June 2014, a three-member panel upheld the Court of Federal Claims’ decision on a 2-1 vote. Like the Court of Federal Claims, the Federal Circuit majority held that the VA Act’s “rule of two” was a goal-setting requirement, and that the VA need not apply the “rule of two” so long as its SDVOSB and VOSB goals are satisfied. In a sharp dissent, Judge Jimmie Reyna noted that the statute uses the mandatory word “shall” and argued that the phrase “for purposes of meeting the goals under subsection (a)” was merely “prefatory language” that explained the general purpose of the statute, but did not vary the statute’s mandatory nature. In June 2015, the Supreme Court agreed to hear Kingdomware’s appeal. Kingdomware and the Government began filing briefs with the Supreme Court (as did a number of Kingdomware supporters, including yours truly). But in a surprising twist, in September 2015, the Government abandoned the “goal setting” argument that had prevailed at two lower courts. The Government conceded that the “rule of two” applies regardless of whether the VA has met its goals–but argued that the statute’s use of the term “contract” excludes GSA Schedule orders (as well as orders under other multiple-award vehicles). The Supreme Court heard oral arguments on the morning of February 22, 2016. At the Court, Kingdomware’s counsel focused primarily on the mandatory nature of the statutory language, while the VA’s counsel primarily made policy arguments, namely, that it would be difficult and cumbersome for the VA to apply the rule of two in every setting. After February 22, SDVOSBs and VOSBs waited for the Court’s decision. Now it’s here–and it’s a big, big win. The Supreme Court’s opinion, written for an 8-0 unanimous Court by Justice Clarence Thomas, begins by recounting the history of the VA Act, the “rule of two,” and the Kingdomware case itself. The Court then examines whether it has jurisdiction to consider the case (a technical issue raised earlier in the process), and concludes that it does. On the merits, we hold that [Section] 8127 is mandatory, not discretionary. 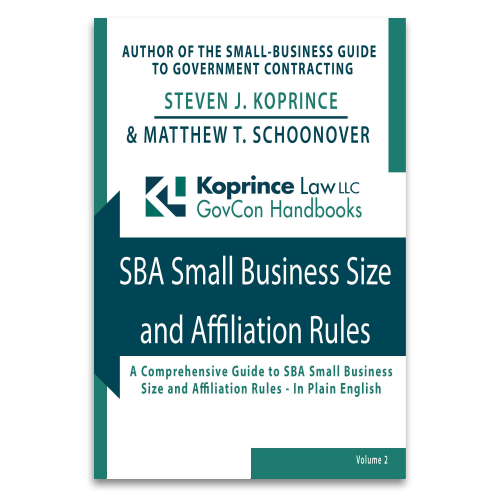 Its text requires the Department to apply the Rule of Two to all contracting determinations and to award contracts to veteran-owned small businesses. The Act does not allow the Department to evade the Rule of Two on the ground that it has already met its contracting goals or on the ground that the Department has placed an order through the [Federal Supply Schedule]. The Court explains that any issue of statutory construction begins “with the language of the statute.” If the language is unambiguous, and the “statutory scheme is coherent and consistent,” the Court’s review ends there. [T]he prefatory clause has no bearing on whether [Section] 8127(d)’s requirement is mandatory or discretionary. The clause announces an objective that Congress hoped that the Department would achieve and charges the Secretary with setting annual benchmarks, but it does not change the plain meaning of the operative clause. The Court explains that “[w]hen the Department places an FSS order, that order creates contractual obligations for each party and is a ‘contract’ within the ordinary meaning of that term.” The Court also explains that an order is a contract “as defined by federal regulations,” particularly FAR 2.101. The Court then goes into additional explanation about why FSS orders are types of contracts. We hold that the Rule of Two contracting procedures in [Section] 8127(d) are not limited to those contracts necessary to fulfill the Secretary’s goals under [Section] 8127(a). We also hold that [Section] 8127(d) applies to orders placed under the FSS. The judgment of the Court of Appeals for the Federal Circuit is reversed, and the case is remanded for further proceedings consistent with this opinion. For SDVOSBs and VOSBs, the Supreme Court’s Kingdomware decision is a huge win. Ever since the VA Act was adopted, the VA has taken the position that it may order off the GSA Schedule without prioritizing veteran-owned businesses. That’s about to change. I expect that the Kingdomware decision will prove a major boon to SDVOSBs and VOSBs, ultimately resulting in billions of extra dollars flowing to veteran-owned companies. The long battle is over–and SDVOSBs and VOSBs have won. Here We Go Again: Another Aldevra-Style GAO Protest Sustained--Is a Court Resolution Looming? Will The Supreme Court Put "Veterans First" In The Kingdomware SDVOSB Case? This entry was posted in Service-Disabled Veteran-Owned Small Businesses and tagged Aldevra, FSS, GSA Schedule, Kingdomware, Kingdomware Victory, rule of two, SDVOSB goals, Supreme Court. Bookmark the permalink.